June 7, 2017 June 7, 2017 / Julie Brook, Esq. 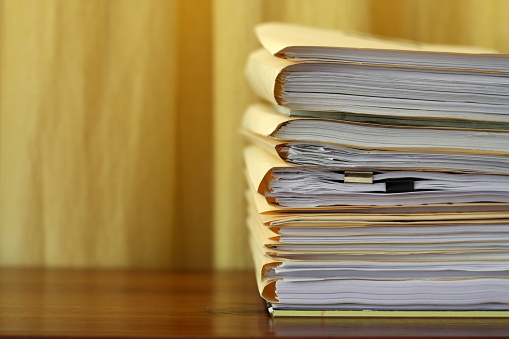 Case files routinely contain documents (and sometimes other property) that clients have provided. The California Rules of Professional Conduct require that an attorney return these items, at a client’s request, when the attorney’s “employment has terminated” (subject to “any protective order or nondisclosure agreement”). Cal Rules of Prof Cond 3–700(D)(1). Here’s sample language that you can use in a letter to a client at the end of the case. This letter is to advise you regarding how my office handles client files on completion of a case. As you know, my work on your case was completed as of _ _[date]_ _. I normally maintain files for cases such as yours for a period of _ _[specify period, e.g., 10]_ _ years following the completion of a case, after which the files are shredded and securely disposed of. I will be retaining your file for at least that period of time. My file regarding your case contains certain items that you provided me along with other documents and materials that, at your request, I would be happy to return to you or have you receive at my office at a mutually convenient time. These include the following: _ _[list items subject to distribution to client under Cal Rules of Prof Cond 3–700(D), on request, e.g., specific pleadings, correspondence, expert reports deposition transcripts, exhibits]_ _. Please contact me within _ _[specify period, e.g., 30]_ _ days of receipt of this letter if you wish to receive any of the above items from the file. I have already returned to you _ _[some/all]_ _ of the documents or other items that you personally provided me in connection with your case, namely, _ _[list specific items previously returned to client, e.g., deed to client’s home]_ _. In addition, I sent you copies of _ _[list items previously sent, e.g., specific pleadings, correspondence, and expert reports]_ _ as your case developed. I also have in my file the following items that, at your request, you may receive at my office at a mutually convenient time, namely, _ _[list items not sent, but subject to distribution to client under Cal Rules of Prof Cond 3–700(D), on request, e.g., specific deposition transcripts and exhibits]_ _. Please contact me within _ _[specify period, e.g., 30]_ _ days of the receipt of this letter if you wish to receive any of the above items from the file. For a review of what to include in your file retention policy, see When the Party’s Over: What to Do with Client Files? Did you find this sample language useful? 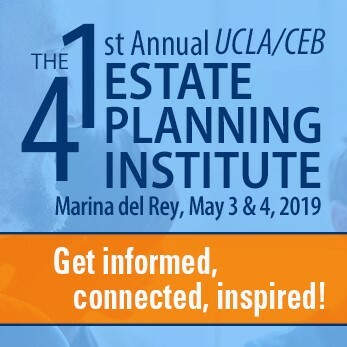 It’s from CEB’s California Client Communications Manual: Sample Letters and Forms, where you’ll find 65 sample letters and forms to help you effectively communicate with your client from initial contact and retention to the conclusion of a case. Should You Be Using Client Intake Forms? ← What Are Directors’ Fiduciary Duties When Selling Control of a Corporation?